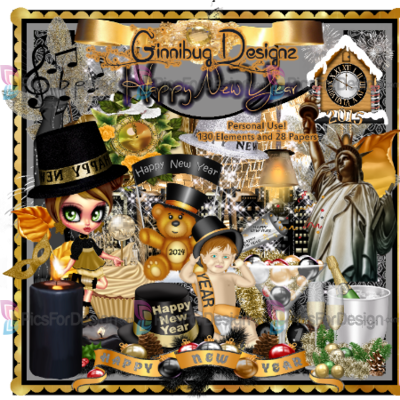 CT Tags For Ginnibug Designz - Using Kit "Happy New Year"
Colors of Black, Silver, Gold and hints of Greens n Reds. In both tags I used the art by Souldesigner. 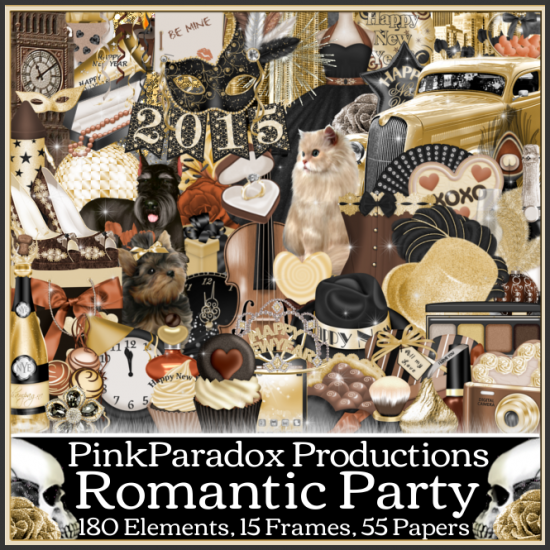 CT Tags For Pink Paradox Productions - Using Kit "Romantic Party"
This fantastic kit is super versatile! New years, Valentine, Romance, Glamour...perfect all year!! You can pick it up here for 40% off for a total $1.65. In both tags I used the art by Arthur Crowe. 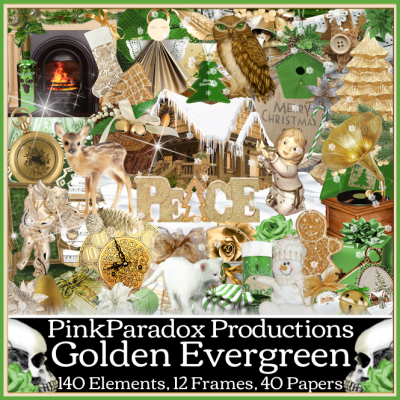 CT Tags For Pink Paradox Productions - Using Kit "Golden Evergreen"
Golds & Greens beautiful. Designed to match the amazing tube by verymany. Tube is called Teddy Bear. You can pick it up here for 40% off for a total $1.50. 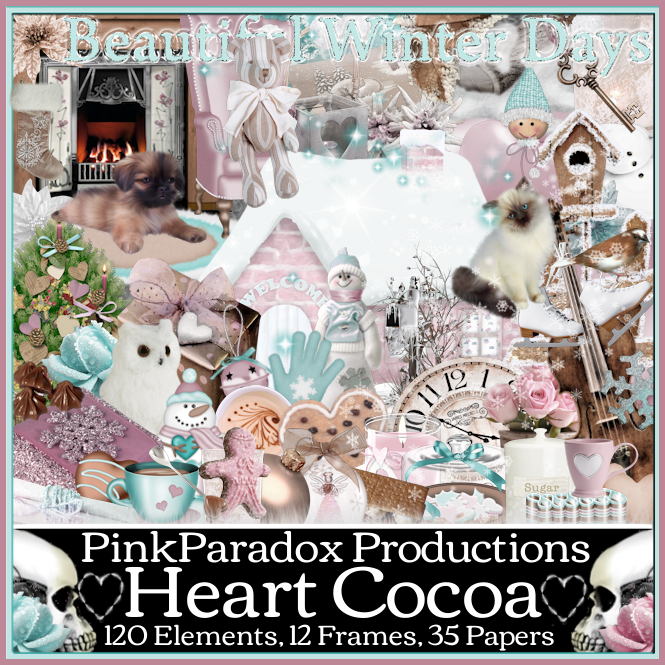 CT Tags For Pink Paradox Productions - Using Kit "Heart Cocoa"
CT Tags For Pink Paradox Productions - Using Kit "GLITTER & SNOW"
A gorgeous blend of winter & Christmas. Feminine, sparkly & beautiful! 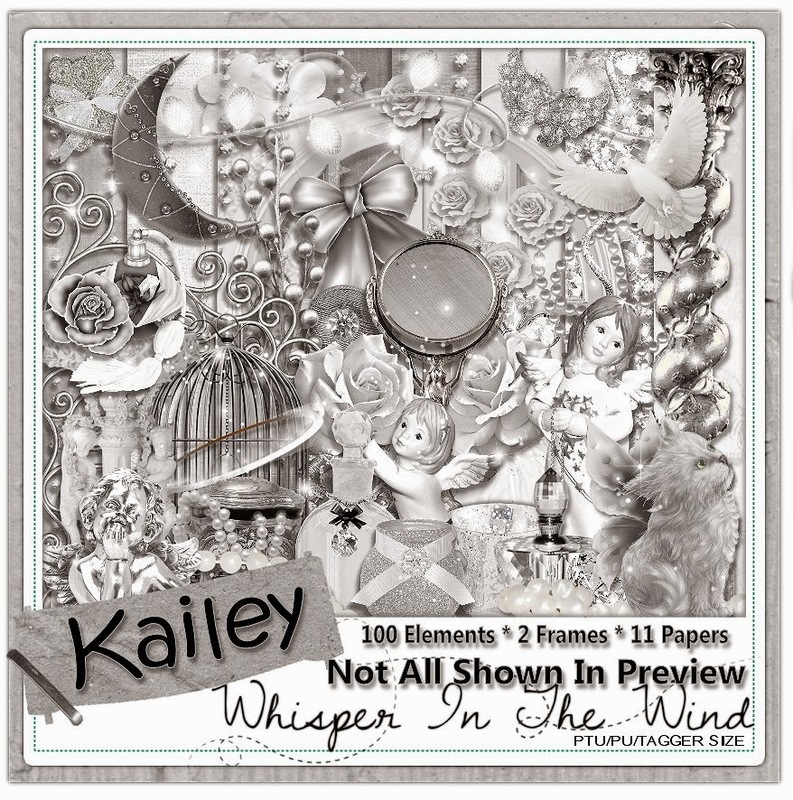 Kailey is a gorgeous and celestial scrap kit, that I have designed to be a match for the stunning Kailey tube by Spazz. 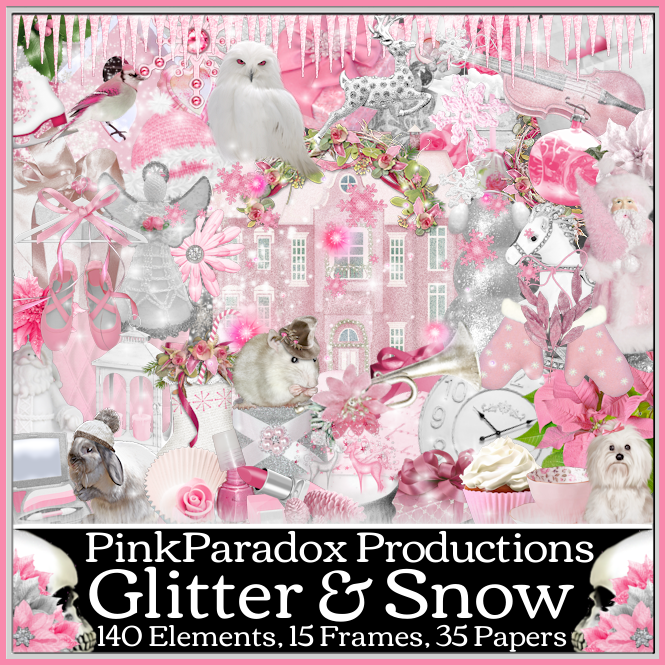 This kit has angels, bottles, perfume, stand, window, gate, halo, stars, flowers, bows, bird cage, angora cat, cat with wings, leaves, pearls, a dove, and so much more! 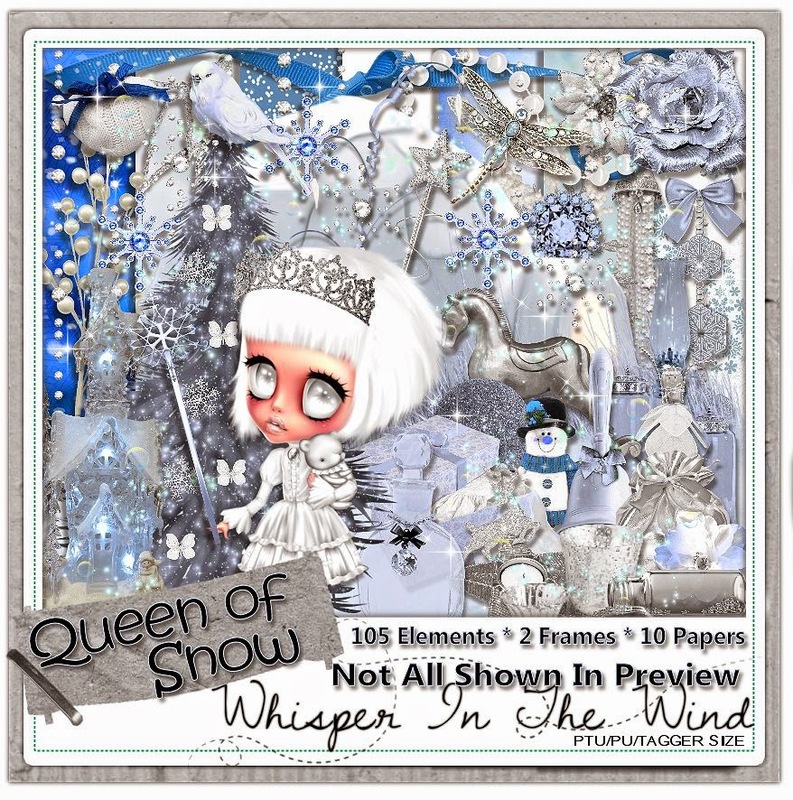 The kit has 100 elements, 2 frames, and 11 papers in the gorgeous shades of white, grey, and silver. 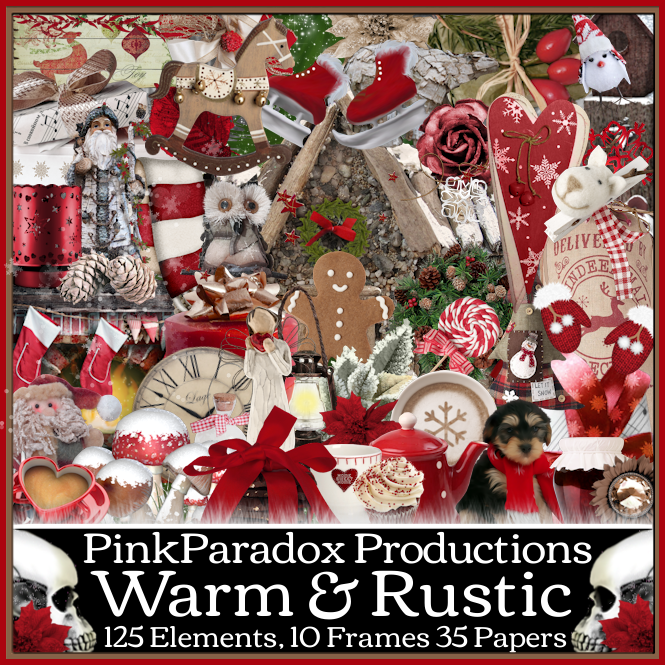 CT Tags For Pink Paradox Productions - Using Kit "WARM & RUSTIC"
A beautiful blend of Autumn & Winter, with a hint of Christmas. 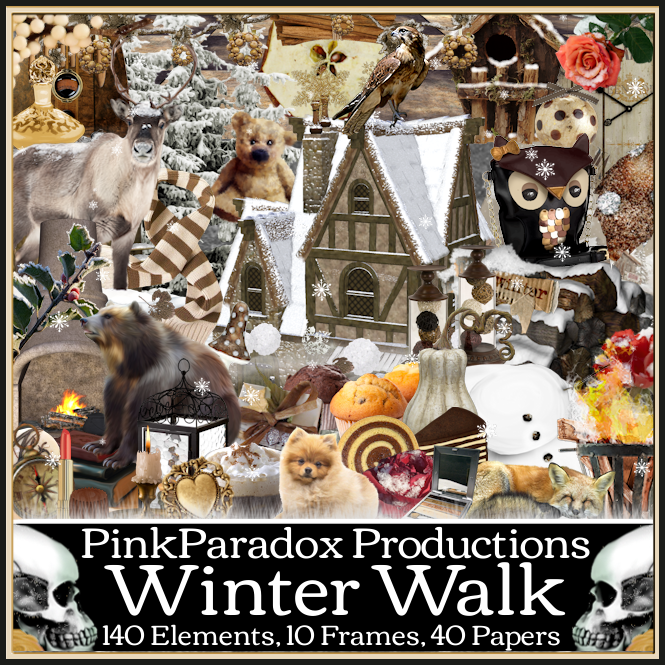 CT Tags For Pink Paradox Productions - Using Kit "WINTER WALK"
is a gorgeous pastel winter/Christmas themed scrap kit, that I designed to be a match for the blue and white layers of the stunning Queen of Snow tube by Chris Pastel! 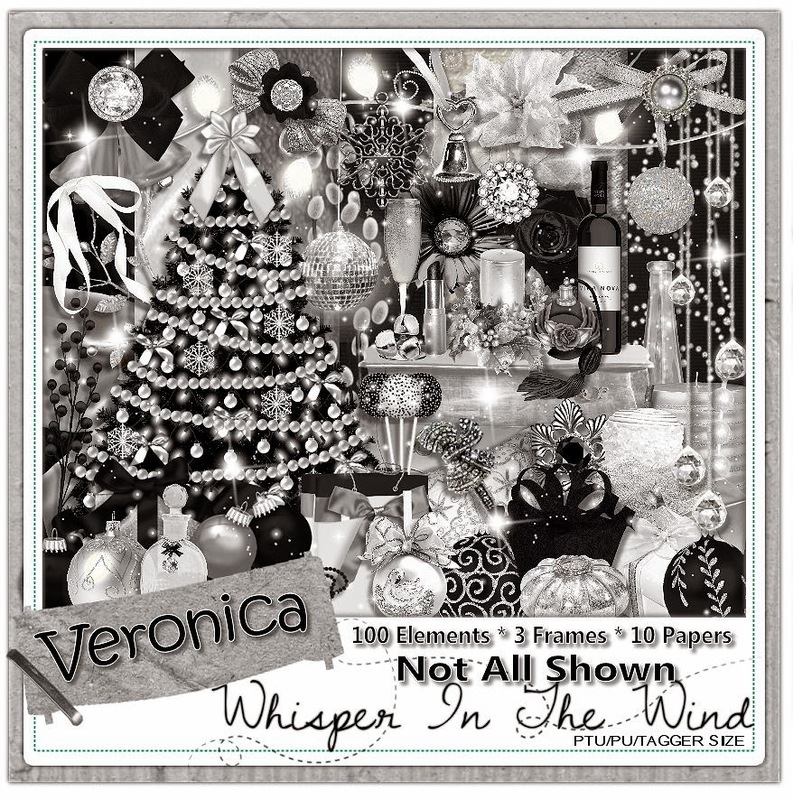 It has presents, ornaments, tree, snowflakes, rhinestones, bows, snowmen, rocking horse, mittens, pearls, and so much more! It has gorgeous shades of blue, white, and silver. 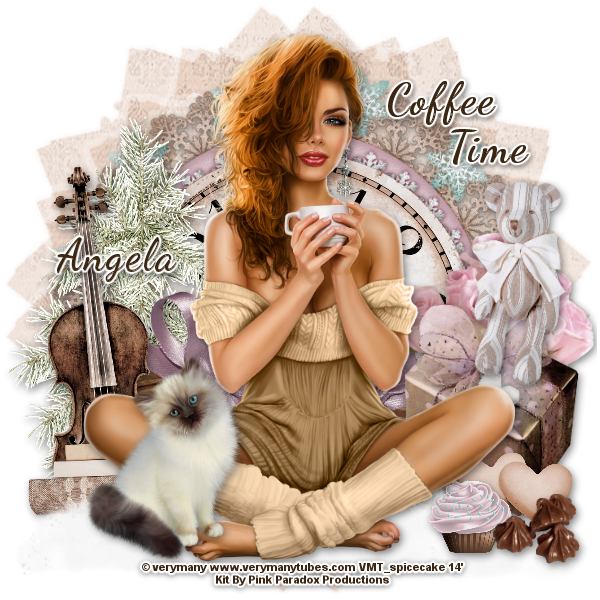 It is available at all of my stores! 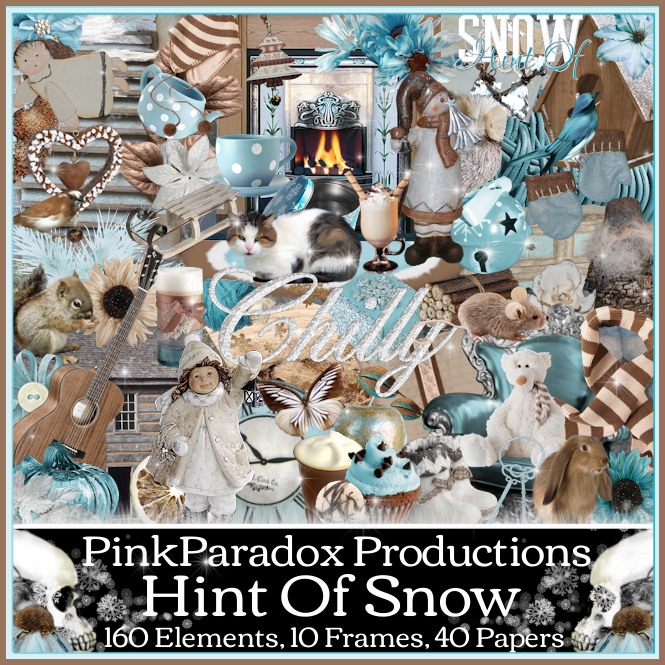 CT Tags For Pink Paradox Productions - Using Kit "HINT OF SNOW"
A gorgeous blend of Autumn & Winter! You can pick it up here for 40% off for a total $1.56. Veronica tube by Stan Dudin. 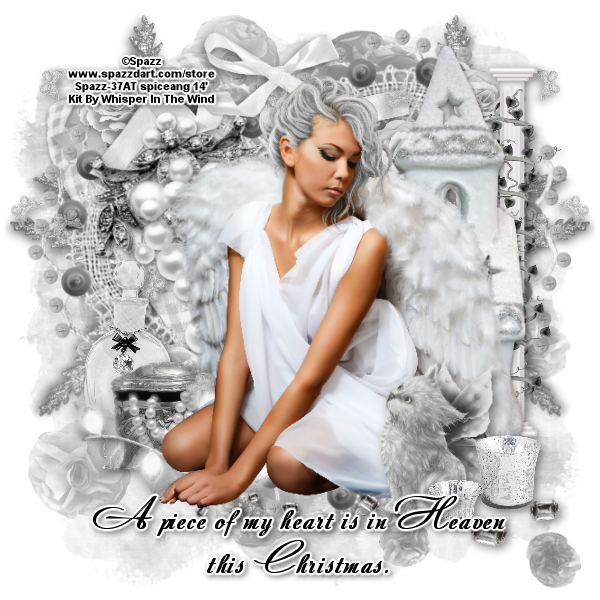 grey, silver, and white. It is available at all of my stores!